Home » Work hard, Play hard! Worship during our first Friday Night Focus! The whirlwind month of August has come to a close. It is amazing and crazy how much happened in August, from Corefa prep, to finishing up the Old Testament, to Welcome Week! and my frequent reading buddy. One thing I really love about FOCUS is how purposefully the staff tries to prepare us interns and then the student leaders (“Corefas”, core facilitators) to really do our best in loving and ministering to our campus. 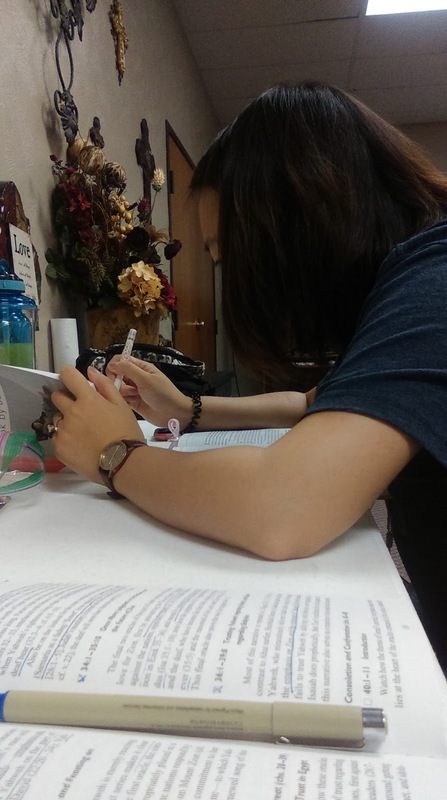 One of the things the intern team has been doing is reading through the Old Testament. We started Genesis and Exodus just before August and finished the rest of the Old Testament by August 20th. -August 20th: 2 Chronicles, Ezra, Nehemiah, Esther, & Daniel. I'm not going to lie, reading through the Old Testament was a tough and at times exhausting endeavor. However reading through the Old Testament has been such a cool way to better understand the story of Israel and how that relates to us and leading into the New Testament. Still in the efforts of preparing the staff and leaders for the year we had a few different corefa prep days. 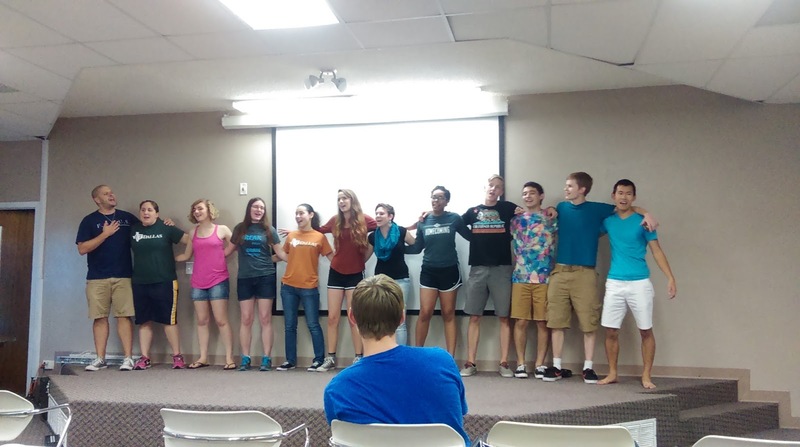 This was a time for student leaders to start to work together and catch a vision for the upcoming year. One way we facilitated bonding the leaders at our Dallas campuses (UTD, TWU Dallas, and Richland), was through a skit called “Welcome week: the Musical.” In these skits two peer teams got together and acted out how they would welcome new students to campus in the form of a musical. We also had an all corefa prep day. This was a day to get all of our campuses (UTD, UNT,TWU,UTA, NCTC, Collin, Richland and TWU-Dallas) together to cast a broader vision for the ministry as a whole. It wasn't as campus specific but more so training to really lead our ministries well this year. 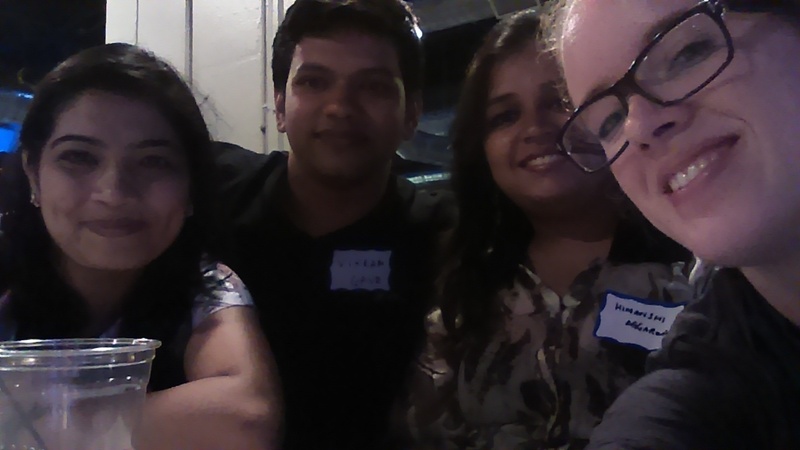 My new friends Shweta, Vikram and Himanshi. 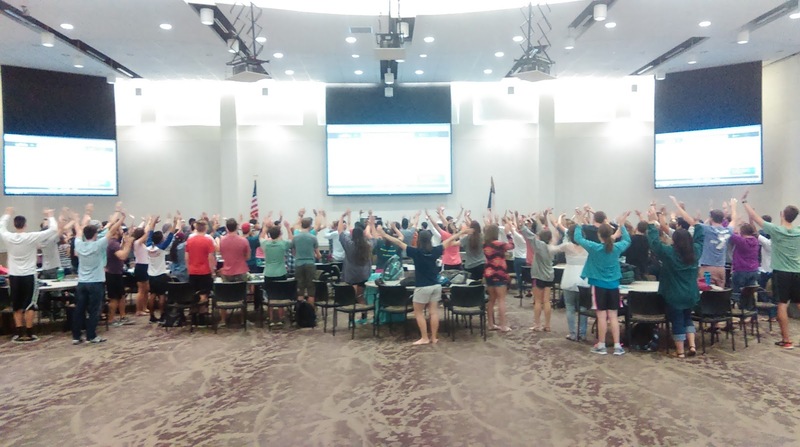 One of the big things some of our campuses do is Welcome Week, this usually consists of events that Focus and the university puts on to help get incoming students connected. Richland didn't start until the 1st of September so from August 19th-28th I was at UTD along with our UTD leaders, meeting students and hanging out. Two events really stood out to me in that week and a half. One of these events was the ICF (International Christian Fellowship) Welcome party. 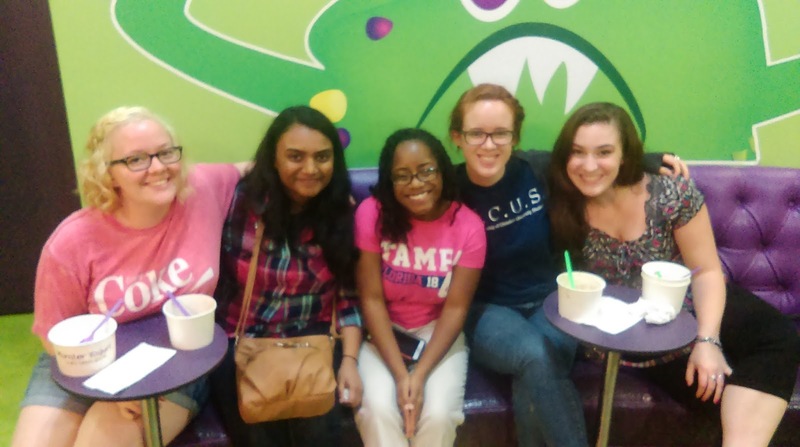 This was such a fun night where we got to eat and hangout with international students from all over the world! My second favorite event was UniTeD Worship. 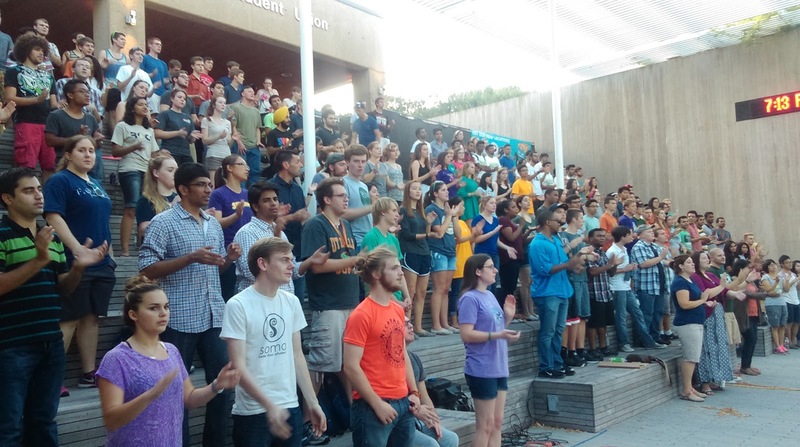 This is an event Focus does every year in which they pair up with several other Christian ministries at UTD, like the BSM, InterVarsity, and Reasonable Faith, to name a few. This is such a cool thing to see God's people in unity. 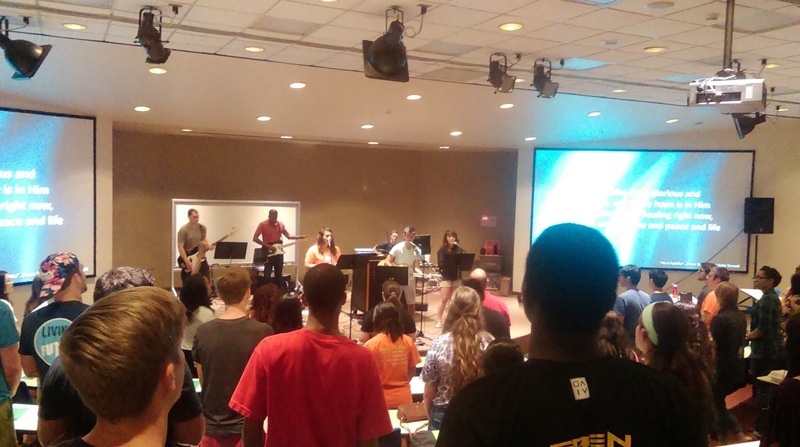 Each ministry can only reach a small percentage of the students at UTD by itself. I think it is so important for God's people to work together to be more effective and still be okay for that to look different for different people. Well Richland is finally starting up and I'm pretty excited! 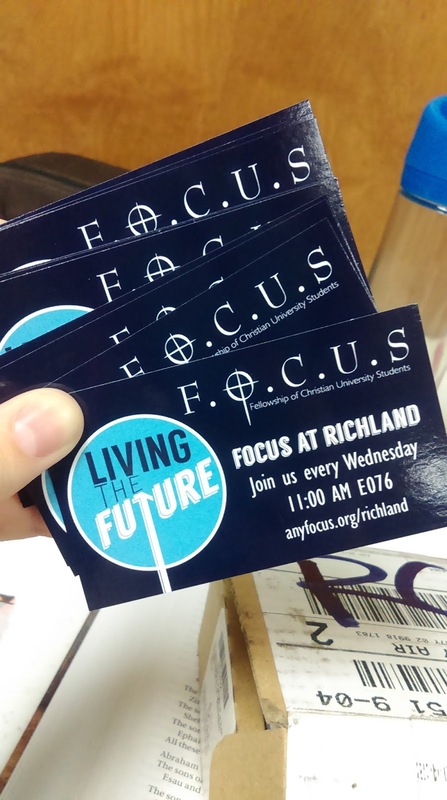 People keep telling me Richland is going to be a tough campus but already God has put students in my path. after our first Friday Night Focus! I know this year will be tough and that God will grow me a lot but he is also so good to encourage me and give me these little things that really show it's worth it. He is working and all I have to do is be faithful. How you can be involved:-Pray for Richland to be made ready and open to letting us share Christ's love with them and to be able to just offer them friendship.-Pray a prayer of praise to thank God for helping me to reach my fundraising goal for the year! Thank you all who have supported me both with prayer and financially! -Pray for energy. These last to weeks have been long and I can't quit now! Just pray that God fill me and our leaders with his spirit so we can pour it out to the students at Richland!